The U.S. Department of Labor wants pension funds to downplay environmental, social and governance issues that don’t demonstrably improve investment performance. That will provide cover for some holdouts, but should also prompt the $23 trln ESG industry to up its game. 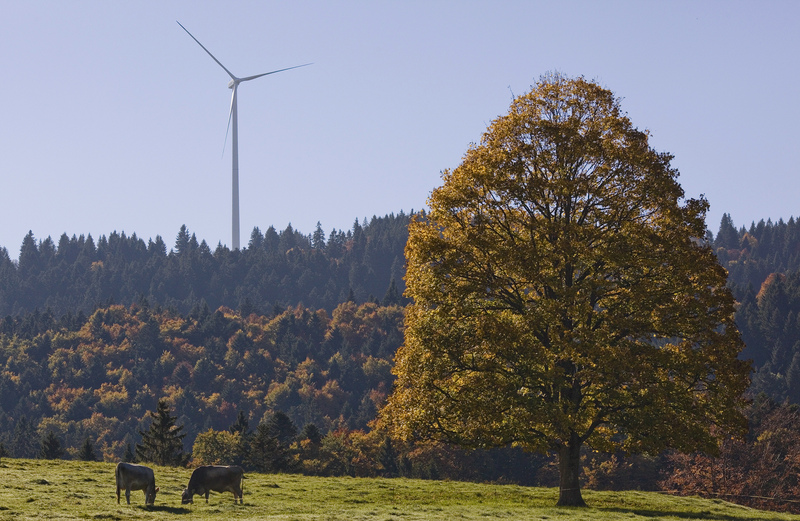 Cows are seen in front of wind turbines in a wind farm of BKW in Mont Soleil in the Jura region, western Switzerland October 7, 2010. The United Nations Environment Finance Initiative and 16 global banks on April 26 released a methodology “to increase banks’ understanding of how climate change and climate action could impact their business.” The study, begun 10 months ago, is designed to help financial institutions meet the recommendations of the Financial Stability Board’s Task Force on Climate-related Financial Disclosures. Nonprofit environmental-investment lobby group Ceres is holding its annual conference in Boston between April 24 and April 27. The U.S. Department of Labor on April 23 issued a so-called field assistance bulletin saying that "Fiduciaries must not too readily treat ESG factors as economically relevant to the particular investment choices at issue when making a decision." It went on to state that "fiduciaries must always put first the economic interests of the plan in providing retirement benefits. A fiduciary’s evaluation of the economics of an investment should be focused on financial factors that have a material effect on the return and risk of an investment based on appropriate investment horizons consistent with the plan’s articulated funding and investment objectives."